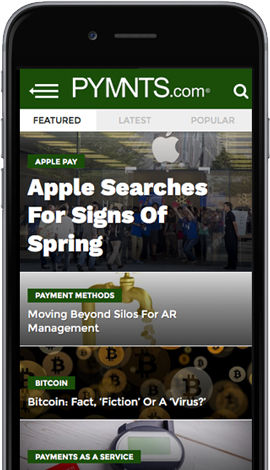 Though Walmart’s mobile wallet, Walmart Pay, has not quite gotten the same level of coverage as its rivals in the field, particularly Apple Pay, it seems possible the QR code-based payment platform might be set to quietly nudge Apple from its top spot on the list, according to reports in Bloomberg published Tuesday (Nov. 7). Now online in 4,774 stores nationwide, Walmart Pay is currently enrolling “tens of thousands of new users a day,” according to Walmart’s senior vice president of services and digital engagement, Daniel Eckert. The figure represents a pickup from the thousands it was reporting approximately five months ago. Two-thirds of customers who try the mobile wallet use Walmart Pay a second time within 21 days, Eckert further reported. He believes, given the strong enrollment numbers, that the mobile payment method will pass Apple Pay when it comes to its use by shoppers in the U.S. in stores where mobile wallets are accepted. Outside parties are corroborating that information. According to data from the PYMNTS-InfoScount Mobile Wallet Adoption survey, 5.1 percent of Walmart shoppers said they used Walmart Pay in June 2016, compared with 5.5 percent of iPhone users at stores accepting Apple Pay. And, notably, Apple Pay has more than a year’s head start on Walmart Pay. The same survey showed Walmart Pay’s rate of adoption is already higher than Samsung Pay and Android Pay combined. Mobile strategy consulting firm Crone Consulting’s chief executive officer, Richard Crone, estimates Walmart’s mobile wallet will have even more active users — those making at least two transactions a month — by the end of next year. There were early talks of Walmart integrating Apple Pay into its payment app, though those discussions ended in March 2016. According to internal sources cited by Bloomberg, the issue broke down on the essential incompatibility of Walmart’s QR code-based payments system and Apple’s near-field communication (NFC)-based system. “As the world’s largest retailer, you can imagine that we have conversations with a variety of companies about products and services that we think would be of interest to our customers, and Apple, as big of a company as they are, is one of those companies,” a Walmart spokesperson said. Apple, for its part, declined a comment. “Apple Pay’s road is much more difficult than Walmart’s is,” said Brendan Miller, an analyst at Forrester Research, in a phone interview. Forrester’s survey of 58,000 online consumers in the first half of 2017 found 7 percent of them used Apple Pay in the past three months, while 6 percent used Walmart Pay.